In order to reuse an existing one-story manufacturing facility as a workforce training center, we first completed an involved “Preliminary Engineering Report” and “Environmental Narrative” for the Economic Development Administration grant application. The client was awarded a $1.4M grant. Other sources also helped to fund the project. We addressed a center row of columns by creating an off-center, double-loaded U-shaped corridor plan to avoid the columns and locate classrooms on exterior walls. The center of the “U” is used for restrooms, conference rooms, storage rooms and mechanical rooms that don’t require natural light. 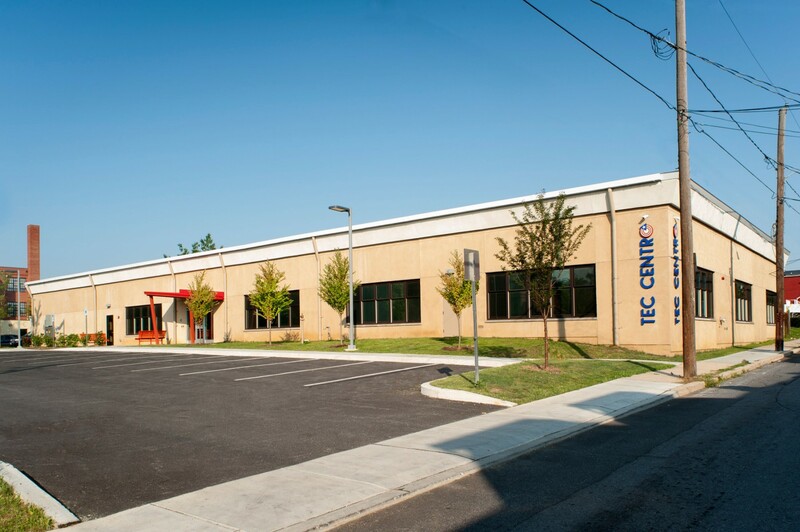 We designed a space to provide learning environments for a variety of trade training programs, including carpentry, HVAC, plumbing, electrical and mechatronics, as well as dental and nursing assistant programs. 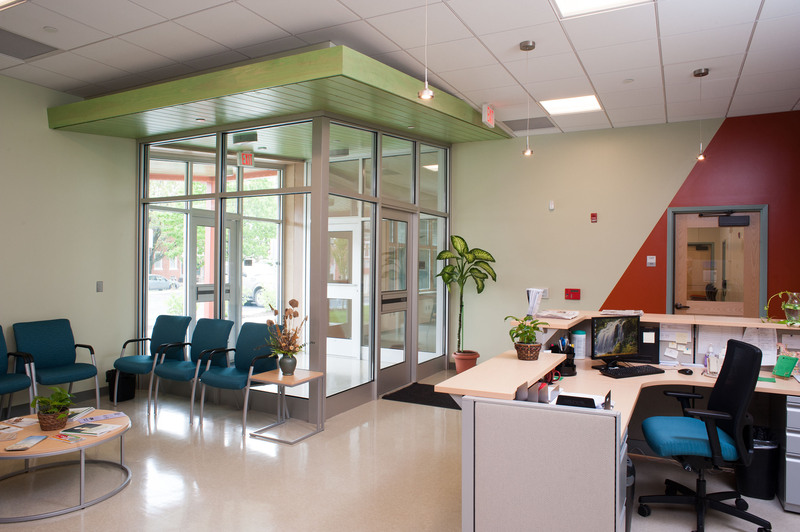 TecCentro guests are welcomed into the bright reception and waiting area, which features large expanses of glass and a fun green ceiling accent over the vestibule. The receptionist’s desk includes two levels, making it approachable and accessible for all. 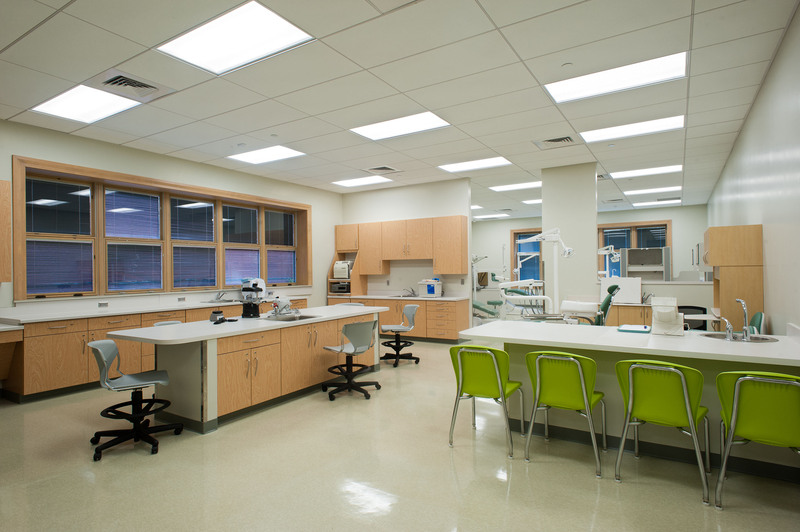 The Dental Assistant Training Suite was designed to include a lab training area, dental instruction station and four dental stations for individual student attention. Stations have the same equipment and features commonly found in commercial dental offices. Colors are neutral and pale, simulating the sanitary requirements for a dentist’s office. 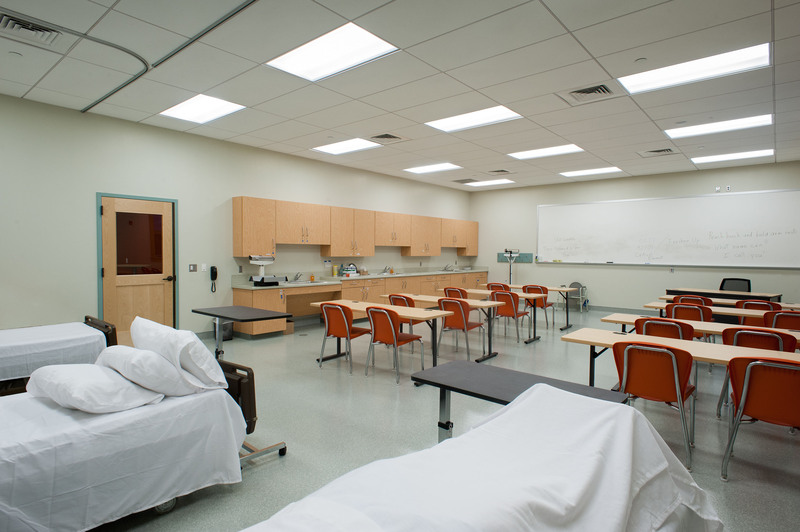 The open space in the Nurse’s Assistant training room has distinctly different sections for patient/nurse assist training, classroom-style instruction, lab training and supply storage. 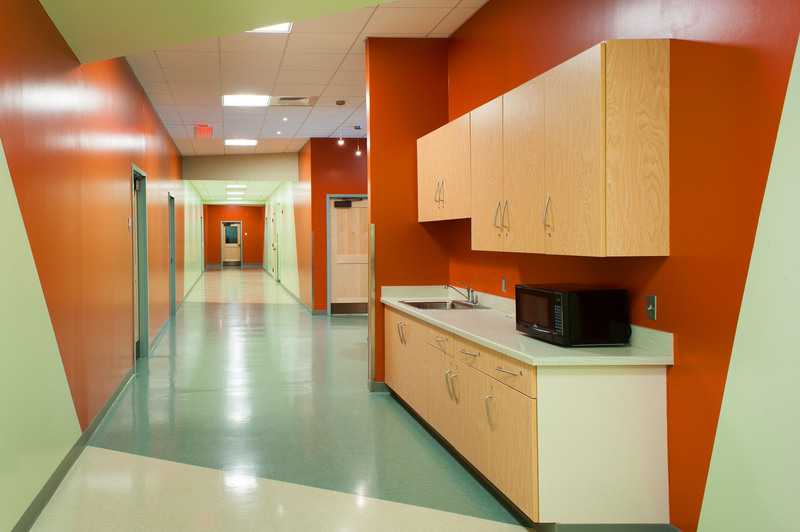 Walls are white to simulate the sterile environment of a hospital. 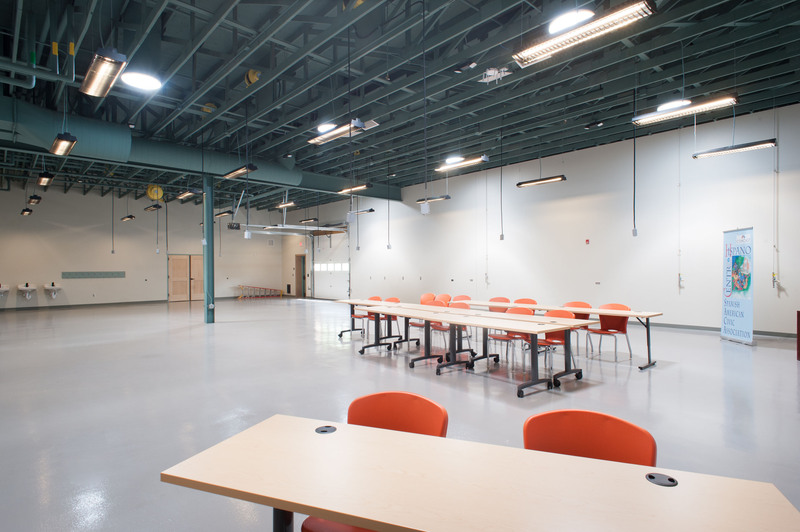 Designed to accommodate equipment for training the full range of construction trades as well as mechatronics, the largest open space in the center is a multi-purpose training room. Open to the roof tresses to provide maximum height for equipment, the room also features a large overhead door for loading and unloading, Electrical drop cords from the roof help to eliminate obstructions on the floor, and a poured seamless epoxy floor offers easy care and durability. A combination of pendant and LED lighting in the ceilings, plus bright paint and finishes in the corridor to classrooms and training suites, keep staff and students’ energy and attitudes positive.